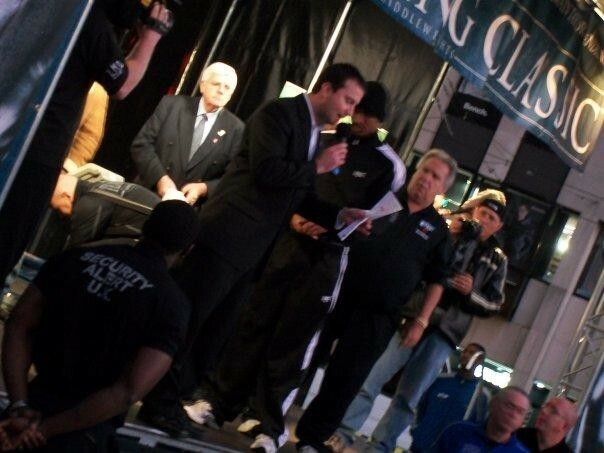 Security Alert UK in control during the huge Carl Froch v Andre Dirrell weigh in at Nottingham’s market square. If you are looking for event security companies, then Security Alert UK are proud to say that events both large and small are our speciality. With over 20 years experience in Event Management and Security, Clifton and Simon are able to deliver a personal touch to the security and running of many different events and festivals. Our client base is huge for these types of jobs and include large events like the Leicester Caribbean Carnival which we use 120 of our highly trained event staff including Close Protection Officers, Door Supervisors, Control Room Operators , and Event Stewards. This event is a huge day in the Carnival calendar and always see's over 100'000 visitors into Leicester for this fantastic social gathering and party, we are proud to say that with Security Alert covering the security on both the parade and the park we make sure all of these people go home happy and safe. We are also very proud to say that we do the ringside and backstage security for the former WBA Heavyweight Champion David Haye and his promotional team Hayemaker Promotions. We also provide the security for Hennessy Sports boxing promotions and their stable of boxers including British and Commonwealth Heavyweight Champion Tyson Fury.We have worked for Mick Hennessy for 7 years now and wish to congratulate him on securing a fantastic television deal with channel 5 he really has brought boxing back to the masses. Barry & Eddie Hearn and their Matchroom boxing promotions whose boxers include Carl Froch, Kell Brook and Darren Barker also rely on Security Alert to look after their security for these live television shows up and down the country. Let us not forget the smaller but just as important events such as "Off the Tracks" festival in Castle Donington or the local festivals we look after for our local authorities such as South Derbyshire District Council. As an event security company we also do the full Security cover for one of the most up and coming festivals in the country Strawberry Fields Festival. The guys that run this festival namely James Ludlam , Ian Michie & Michael Beck bring some top names in the music world to there value for money weekender in the heart of Leicestershire and we are sure this will grow into one of the most attended music events in the country.